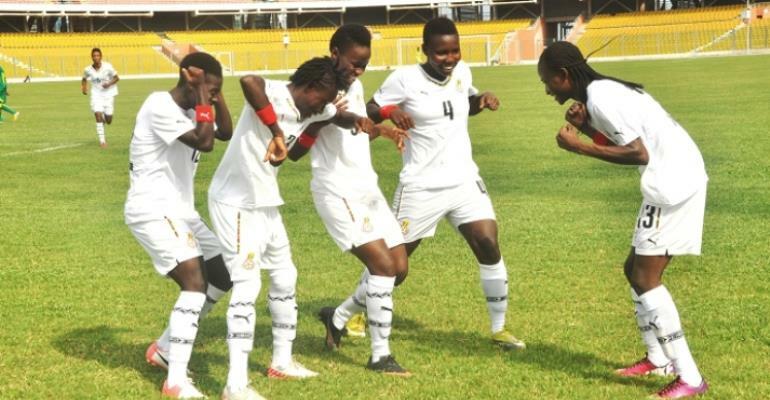 Ghana’s female U-20 team, the Black Princesses whitewashed Army Ladies 7-0 in a friendly match ahead of the FIFA U-20 Women’s World Cup in France next month. Defender Ernestina Abambila and Olivia Anokye both scored a brace before Rafia Alhassan, striker Sandra Owusu Ansah and Grace Acheampong each got a goal apiece. The Black Princesses have been preparing ahead of the Mundial with low profile friendlies at the Ghanaman Soccer Center of Excellence. The game against Army Ladies in the last friendly for the side ahead of their Spain training tour. The Black Princesses are expected to leave Ghana for Spain on Wednesday, where they have lined up a couple of training matches. Ghana are in Group A together with host France, the Netherlands and New Zealand. Having been unable to progress past the group stages, the team has set a target of reaching the knockout phase of the competition. The World Cup begins on August 5th with Ghana playing France in the opening game in Vannes.